PRIVATE WOODED oasis! PRISTINELY maintained Engle home. Spaciousness and flexibility abound. Spacious and updated kitchen, gorgeous cream colored GRANITE countertops, kitchen island, extensive cabinet space and more! NEWER ROOF, December, 2017! Dining room has French doors and wood flooring, can also be utilized as it is currently, as an office/den. Large family room, with quality wood flooring, overlooks private wooded area and in-ground pool, with GORGEOUS STAMPED deck finish! Two large MASTER BEDROOMS! One is a customized addition, with approximately 436 sq. ft of living by itself. Ideal for guests, in-laws, principal residents as well. Second MASTER BEDROOM is very spacious as well, and set off from other master bedroom! 4 FULL BATHS, nice size yard as well. Complete STAINLESS STEEL kitCHen appliance package. Braddock Oaks is a quality manicured village in Hunters Creek, with spacious well maintained homes, and no through traffic, truly an awesome setting. 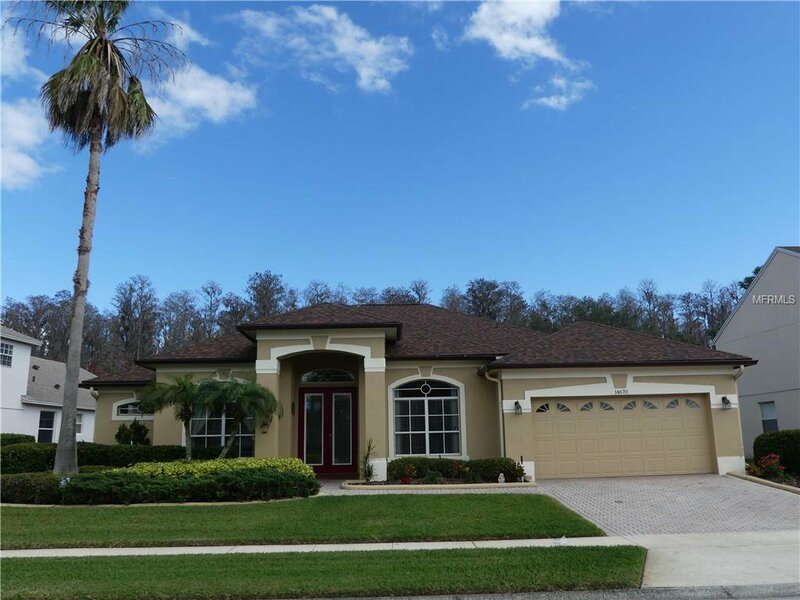 Take advantage of the HUNTERS CREEK lifestyle! Quality, high rated schools, the elementary school is very close by, close to major shopping and transportation arteries. Hunters Creek is ranked as one of the top communities in the United States by CNN magazine. This one will exceed your EXPECTATIONS! Listing courtesy of GREATER ORLANDO REALTY USA INC. Selling Office: MAINFRAME REAL ESTATE.